At Bolton Skip Hire, we have a superior range of skip hire provisions with our commercial, industrial, and domestic skips. We are waste disposal experts with over 20 years of industry experience. Our team of specialists will help you to find the best solution for you waste management requirements. If you are based in the Edgeworth area and you need to remove large volumes of industrial and construction waste products, our industrial skips are perfect for your business. We can process your unwanted waste items quickly and efficiently. Our skips range in size from 8 yard enclosed skips, to 22-40-yard roll-on roll-off skip. We also supply enclosed compactor bins. In addition, we have an impressive collection of large commercial containers for you to choose from. We believe that there is no job too large for us. Your business needs are unique to you, so we personalise our service to meet your individual requirements. Are you undertaking a project at home? 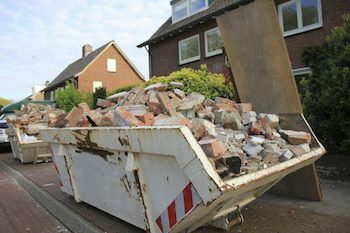 Our domestic skips are perfect for any home improvement work, including garden and house clearance jobs. If you are tempted to handle your own domestic waste, you could damage your own vehicle. It may also take up a lot more time than you expected. Using our skips is a cost-effect way to process your unwanted products and allows you more time to concentrate on your project. For those in the Edgeworth area, our skip hire facility is an affordable option and easy to use. We don’t have hidden costs when you hire our skips and we offer excellent all-round value. If you need help selecting the correct size skip, we are here for you. For additional information, you can phone us on 01204 383737. You can also contact us by using our online query form today.